Liu He, male, Han ethnicity, was born in January 1952 and is from Changli, Hebei Province. He began his first job in April 1969 and joined the Communist Party of China (CPC) in December 1976. Liu graduated from Department of Industrial Economy, Renmin University of China where he completed an undergraduate program in industrial economy. He holds a Master of Economics degree and a Master of Public Administration degree. He is a research fellow and a professor. 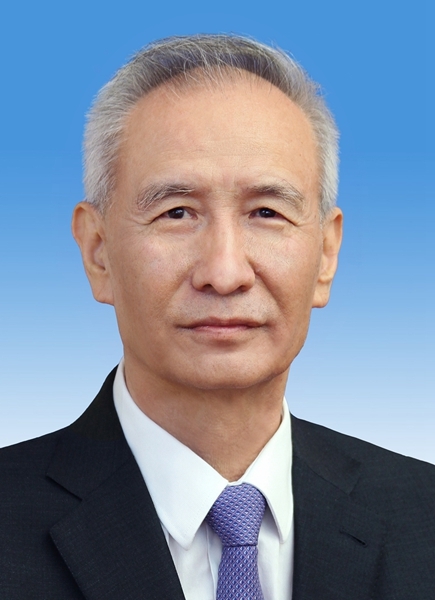 Liu is currently a member of the Political Bureau of the CPC Central Committee, General Office Director of the Central Leading Group for Financial and Economic Affairs, and also Vice Minister and Leading Party Members Group Deputy Secretary of National Development and Reform Commission. Member, Political Bureau, 19th CPC Central Committee.